The Dead Main Foambag Stop-Off System offers a fast, efficient method of sealing off areas of dead mains to prevent dangerous gas tracking. 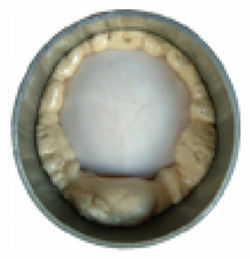 The Foambag seals the empty space inside the main by introducing a special fabric bag into a main. 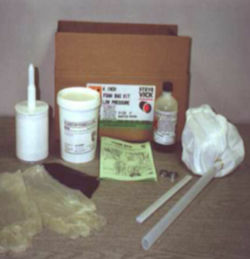 Foam is mixed in a plastic container, poured into a cartridge gun and pumped into the Foambag. The foam swells to fill the bag and then oozes out through the semi-porous surfaces of the bag to roll any fluids, including water, out of the way. 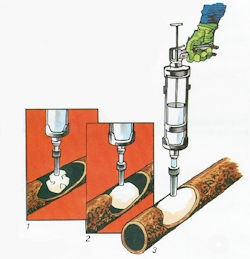 It then combines with any loose debris and bonds to the pipe walls. This produces a 100% seal in a predetermined short length of main in less than 30-60 minutes. 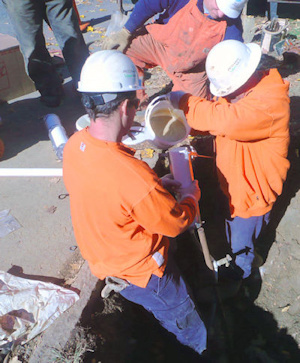 Foams offer control of PCBs and gas tracking in abandoned mains. Low cost, safe and easy to use. Ideal where space is limited - needs less pipe length exposed than conventional methods. Suitable for nonstandard sizes, tapers, bends and vertical pipe work.